Turn in your Porsche lease with us! 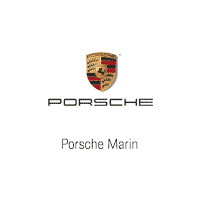 Offer is valid on any Porsche model, no matter where you leased in the United States! Returning your lease with Sonnen is an easy, fast, and simple process. Copy of Lease-end inspection, if possible. All owner’s manuals, keys, spare tires, navigation discs, cargo covers, and anything else that came with the car that you still have. We are conveniently located off Highway 101 in Mill Valley. For any other Lease Return, questions give us a call and ask for Kia Afra.